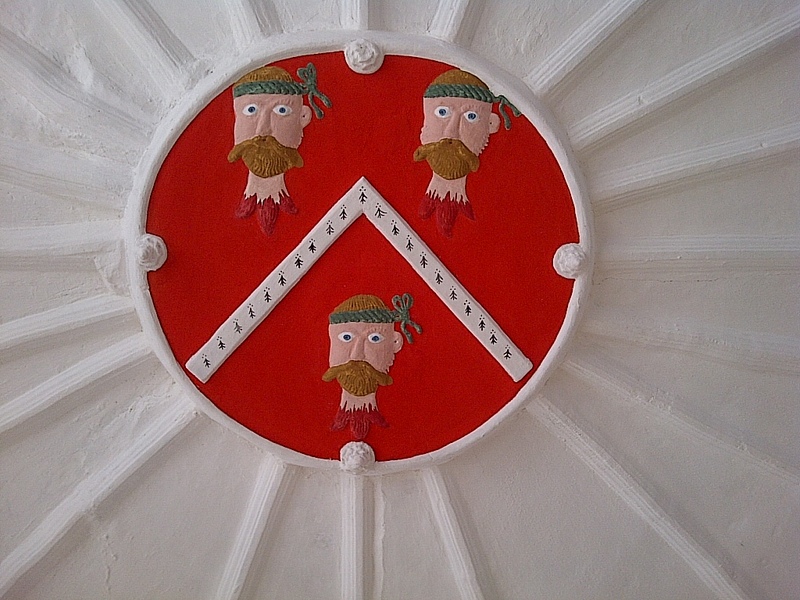 Part of the great shield of the Wynn Family: the 3 severed heads of English Lords. The Plas Mawr home, finest preserved Tudor (1500s) home in the world. Conwy, Wales. June 14, 2013. On the ENGLAND, SCOTLAND & WALES tour.